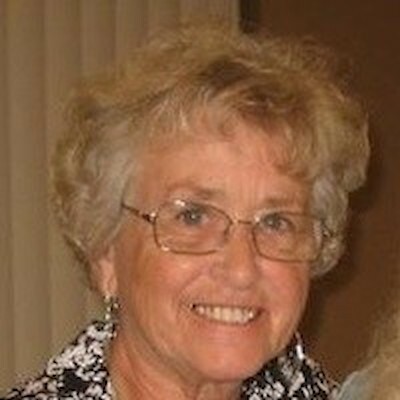 Janet Oachs, 80, of Grantsburg, WI passed away peacefully on April 8, 2019 after a long battle with myelofibrosis secondary to polycythemia vera. Family was by her side when she went to be with the Lord. Janet was born to Leonard and Signe Linden, of Grantsburg, on April 2, 1939 and attended Grantsburg Public Schools graduating in 1957. After graduation, Janet spent a year at Lutheran Bible Institute in Minneapolis, MN. She then went on to college attending the Swedish Hospital School of Nursing in Minneapolis graduating with a nursing degree in 1961. She began her career as a nurse for various hospitals in the Twin Cities before starting a long career as a registered nurse at the Burnett Medical Center retiring in 2004. In addition to her position as a registered nurse, Janet taught numerous CNA classes for 10 years through WITC for aspiring nursing assistants while touching many lives. She was recognized as a leader in the nursing department throughout her time at the hospital. It’s been said that she was the nurse who other nurses would find to help them get their patients up to walk, etc., she was tough but gentle and loving. Janet was able to exhibit her passion of caring for others in many ways while at Burnett Medical Center. While working as a nurse Janet also found time to raise her four children. She attended many sporting events and supported the programs in which her kids participated including hockey, football, volleyball and basketball. She loved watching her kids play, supporting the Pirates, and enjoying the many friendships that were made with other parents and community members. She also served as a Den Mother for her boys and Girl Scout leader for Cheri for many years. Janet will probably be most remembered for her frequent hosting of family events at her home. As all will contend, she was an exceptional cook, but it was her love for the family that made the events (sometimes very large) so special. She rarely missed an opportunity to be host for a gathering which included more than enough food and of course her famous dill pickles and mom’s signature rice pudding. She always made everyone feel welcomed into her home. Besides her love of entertaining, Janet loved to read and watch sporting events; those of her own children and grandchildren, as well as college and professional teams. While living in the Cities in 1961 with her nursing classmates, Janet met the man (and roommates) next door. The girls were having car trouble one evening and knew there were boys next door, so they asked for their help. The boys had a TV and the girls didn’t so the next evening, they invited the girls over to watch but Ron must have been watching more than the TV that night. Soon after, Janet and Ron began dating and were married on June 13, 1964 at Zion Lutheran in Trade Lake. After a short time living in Plymouth, MN, they decided to move back to Janet’s home town of Grantsburg where they have remained. Ron eventually started his own construction business and Janet was the company bookkeeper. They have had a loving marriage of nearly 55 years with four children, twelve grandchildren and one great grandchild. Janet is survived by her husband, Ron Oachs; son, Chris (Sandi) Oachs; son, Cary (Lori) Oachs; daughter, Cheri (Ray) Queener; son, Chad (Kerri) Oachs; grandchildren: Whitney, Maria and Finn Oachs; Tadd, Evan, and Camryn Oachs; Ashley (Ben) Twait, Anthony (Miranda) Queener, Alex Queener; Alaina, Olivia and Sophia Oachs; great-granddaughter, Charlotte Queener; brother, Charlie (Betty) Linden; sister, Pat (Jim) Foley; sister, Clarice (John) Aasen; sister, Myrna (Dennis) Thompson; brothers-in-law: Al “Skeeter” (Hazel) Oachs, Wayne Oachs, Eugene (Pat) Oachs, David (Karyn) Oachs; sisters-in-law, Sharon (Steve) Mohelski and Diane Romanoski; uncle, Gene (Donnis) Benson; and many loving, nieces, nephews, cousins and friends. Janet is preceded in death by her parents, Leonard and Signe Linden; parent-in-laws, Thorl and Beatrice Oachs; brothers-in-law, Gary Oachs and Richard Romanoski; and niece’s Sheila Kosel, and Annette Finnila. Visitation will be held 5:00-7:00 pm on Friday, April 12 at Swedberg-Taylor Funeral Home in Grantsburg. A Celebration of Life will be at 11:00 am on Saturday, April 13 at Zion Lutheran Church in Trade Lake with visitation at 10:00 am; burial will follow at the church cemetery. Arrangements have been entrusted to Swedberg-Taylor Funeral Home in Grantsburg.